The X Factor result and part of tonight's I'm a Celebrity were knocked out across northern and central England following a fault affecting some of ITV's standard definition channels on Freeview, and the main ITV channel on satellite and cable. Viewers in Border, Central, Granada, Tyne Tees and Yorkshire regions lost ITV, ITV+1 and ITV2 on Freeview between around 8:40 and 9:15pm, leaving viewers clueless to the outcome of the X Factor vote. 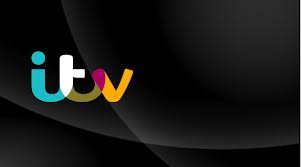 Programmes resumed as normal during the first ad break during I'm a Celebrity, but some viewers reported receiving an alternative ITV region, showing "different adverts" in the immediate aftermath. ITV broadcast a message at the end of The X Factor, apologising for the loss of service "in the north", although affected viewers weren't in a position to receive that message. The affected regions are understood to be served by ITV's Northern Transmission Centre in Leeds. Freeview channels are broadcast as bundles called multiplexes. ITV HD, which is distributed via the BBC's Freeview HD multiplex was unaffected, as were ITV3 and 4, which broadcast on different multiplexes. ITV subsequently apologised on Twitter for the blackout, admitting a transmission fault. On satellite, the fault affected ITV's main channel in standard definition. Other ITV services reportedly remained on air. Freesat stressed on Twitter that the fault originated with ITV and was "not related to specific Freesat boxes". It's the second major fault affecting ITV this year. Back in June, satellite viewers lost ITV, UTV and STV for several hours, resulting in ITV re-scheduling Emmerdale after News at Ten.